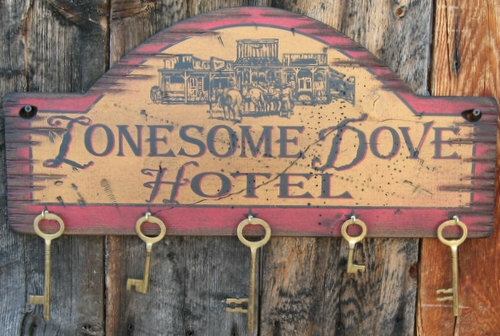 Lonesome Dove Hotel... This sign comes with 5 antique keys and brings you right back to the olden days. This sign measures 11x24 and is red and antique yellow in color. The keys and key hooks are included. Keys could come slightly varied from photo. Handcrafted with pride! !